One of the scenes in the 1964 “Rudolph the Red Nosed Reindeer” features Rudolph paying a visit to the Island of Misfit Toys. Such a poignant scene, that. Eventually in that stop-motion animated Christmas special, Rudolph redeems the unloved misfits by finding the perfect children to love the train with square wheels, the water pistol that shoots jelly and Charlie-in-the-Box. Too bad the Island of Unfinished Craft Projects can’t have a similarly happy ending. While combing through closets and drawers preparing my house for sale, I kept running across trends to which I no longer subscribed. I haven’t owned a cat for more than 10 years. They’re pretty in their imperfect way. And like the cat cross-stitch, I found these unassembled earrings, lacking only their hooks and enough finishing work to hide the weaving thread. The instructions are long gone. More recently, I started and couldn’t finish a wine cork wreath. I even have the glue sticks but, alas, not the stick-to-itiveness. I tried in vain to unload these odd collections on a couple of Facebook marketplaces to which I belong (because they’re hardly worth the gas to drive across town let alone postage to mail across country). But either I didn’t price them correctly or other folks have dark corners in their homes filled with unfinished projects haunting them because I had only one nibble which fell into the same black hole where my creativity was lost. Now I am faced with throwing them away, which pains my frugal Midwestern soul, or packing them up for a rainy (snowy?) day that may never come. Head Elf: Now listen you: You’re an elf, and elves make toys. Now, get to work! Head Elf: Ten minute break! Head Elf: Not for you! Finish the job, or you’re fired! 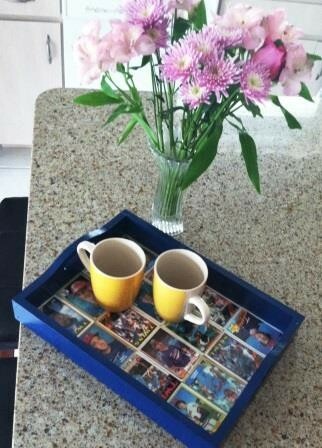 Remember that decoupage project I mentioned this past weekend? It’s not perfect by any means, but it’s one-of-a-kind. It’s a gift for a benefactor who is lending us his condo. In Florida. Where the Twins play spring training baseball. Raw edges don’t scare me! Take that, Strangely Proportioned Shirt — chop, chop, chop! Inspired by Zhenya over at “Being Zhenya: Style, Fashion, DIY, Thrifting,” I got wild with a household instrument today. 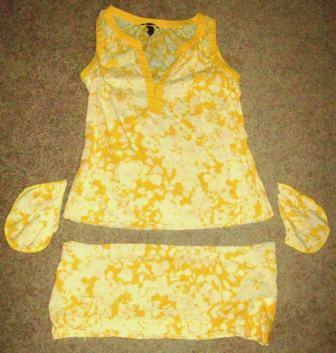 Zhenya never hesitates to take a scissors to a piece of clothing that needs an update, remodel or complete overhaul. Not too long ago, Zhenya solved the problem of T-shirt armpit stains by cutting out the stains! I clicked on her post looking for a magic laundry formula, and instead I found her wielding her scissors like a woman on a Mission: Impossible. As I got dressed this morning, I searched through my closet looking for something different and came upon this bright number. I wear it rarely because is too short to be worn alone (at least by a woman my age), too long to wear with shorts, too sheer to wear without something underneath, and it has weird, useless pockets that show through. 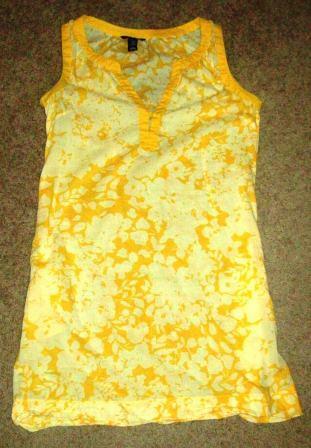 It was still too short, too long, too sheer and had weird pockets. Empowered by Zhenya (and the prospect of a blog post), I whipped out a pair of scissors and cut off the bottom and the pockets, thinking the worst thing I would have would be a shirt with raw edges that falls apart in the washer, which would finally be the excuse I could use to throw it away. I’m pleased to have found today’s fashion statement. I’m wearing it now, the raw edges conveniently tucked away (what happens later, be darned), and I’m reminded of how the happy color brightens my day (instead of my closet). Here’s to making bold moves today! One of the lures of papercrafting is the dimensionality — layers of paper on paper. It’s why I’ve always enjoyed scrapbooking and now stamping. The texture cannot be reproduced in a photo or most printed materials, though embossing, engraving and thermographic printing create texture (think of raised-letter business cards; aren’t you impressed when you receive a business card you can actually feel?). That’s probably why this card with a lolly (also known as a medallion) delights me. 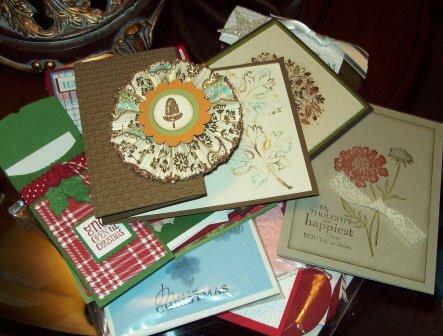 I made this pile of cards Saturday at a card swap: 2 Thanksgiving cards, 10 Christmas cards, 1 Christmas gift card sleeve and a “thinking of you” card (not bad for a few hours work). A lolly is a 12-inch strip of paper, folded accordion style at 1/4-inch intervals. 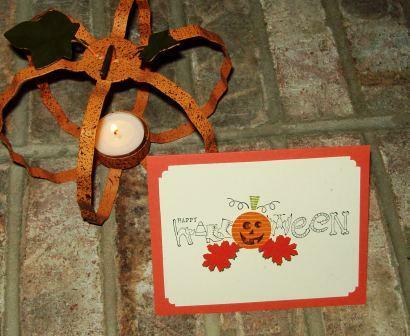 Adhere the ends together and you have an impressive 3D circle (do a search for “lolly Stampin’ Up” on Google, and you’ll find YouTube videos with visual instructions). As much as I am impressed with lollies, their robust dimensionality complicates their mailing so they’re not an option for my Christmas cards this year. My new job promoting the Association of Personal Photo Organizers has me in a bit of a quandary right now. In the past few years, I have painstakingly created dozens of handmade, handstamped cards to send my holiday greetings to family and friends, but I probably ought to incorporate one or more photos into my creative efforts this year. The creative juices are percolating. September passed by like a fast-moving rainstorm (and believe me, we’ve got the mud to prove it), and here it is: October. I went to my card making class yesterday, and then spent today watching the Bears devour the panthers while making Halloween cards. The “treat” has yet to be determined, but the card is a unique combination of old Creative Memories tools and new Stampin’ Up supplies (not that I have anything against new Creative Memories supplies and old Stampin’ Up tools, it’s just not the way my closet of creativity is put together right now). Besides the Halloween cards, I made some cute birthday cards, but some of the people celebrating birthdays this month actually read this blog, so I won’t be posting those masterpieces. 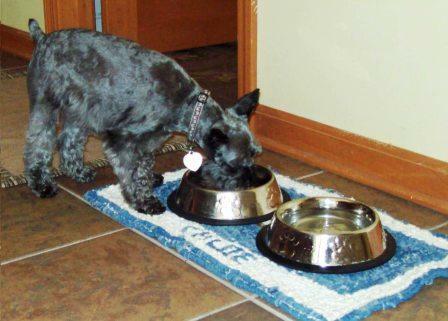 My mother-in-law has dressed up my dog’s “dining room” with a beautiful rug hooking project. Rug hooking is an art/craft whereby rugs are made by pulling loops of yarn or, in this case, cotton fabric through a stiff woven base. Back in the ’70s, I received latch hook rug kits for Christmas, and the end result was a yarn shag rug with the face of a dog or a clown. My mother-in-law’s creation is a neater, sturdier version. The process is a cross between hand sewing and crocheting. 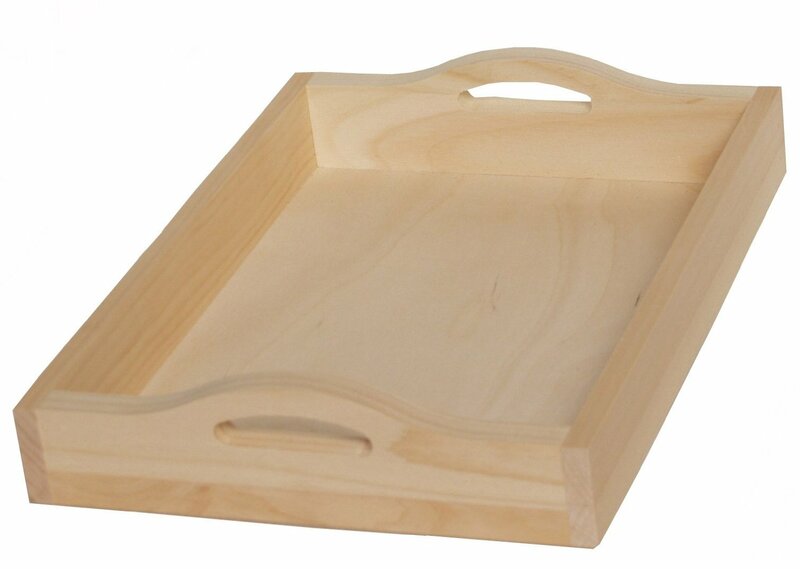 Her latest project is as functional as it is pretty. 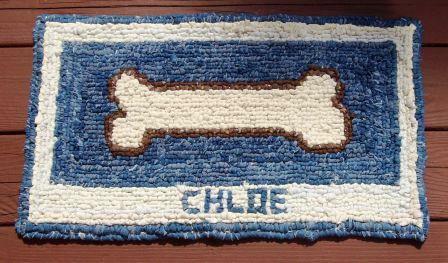 She made a rug with Chloe’s name to define the area of kitchen where my miniature schnauzer’s dog food bowls reside. Thank you, Nani! Your work is pulchritudinous (that’s today’s thesaurus entry for “physically lovely”), and both Chloe and I appreciate it. It’s not a brand new car or an all-expenses-paid trip to Australia, but it’s pretty sweet nonetheless. When we were staying at Llano Grande Resort in Texas in January, I attended a quilt show at the behest of my mother-in-law, who was volunteering for the quilt club. It was a masterful event with hundreds of quilts and quilted items on display and more than 1,000 attendees. Having worked for a company that’s convinced scrapbooking by hand is a dying art, I am amazed at quilting. 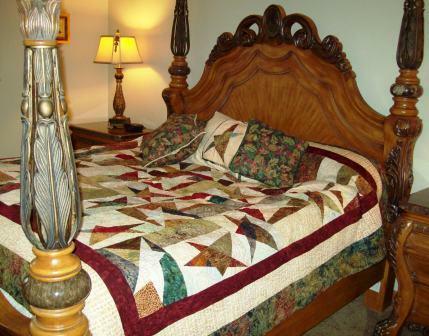 Almost no one needs to make quilts anymore when machine-made blankets are cheap and widely available, yet women everywhere spend a great deal of time and money making beautiful one-of-a-kind creations. My 96-year-old grandmother made dozens upon dozens of quilts in her lifetime so I know just enough about it to know it requires an artist’s eye, geometric acumen and lots of dedication. I made a few quilted potholders once, long ago, but my dedication ended there. At the Llano Grande quilt show, I saw many intricate and creative designs. I also spent $1 on a raffle ticket for a quilt. Who doesn’t have a dollar to donate to a good cause? 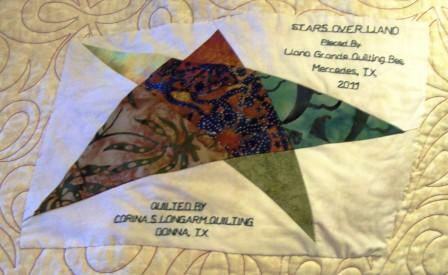 A few weeks later, I got a call from a woman with the Llano Grande Quilting Bee, congratulating me on winning! Me? I won? Well, thank you! The quilt arrived today, and it looks beautiful in my bedroom. According to the applique on the back of the quilt, the design is “Stars Over Llano,” pieced by the quilting bee and machine quilted. The pillows my mother made for a previous bedspread match perfectly. The stars in the sky over Llano Grande were indeed beautiful in that big Texas sky. What a lucky girl I am!